This elevator can be found in the bustling metropolis of Roggen, right along Interstate 76. At first, a passerby might not even notice the teeny, tiny apostrophe placed ever-so gently between the r and the s in farmers. But I assure you; it is there. And it is wrong. I happen to know that Roggen is home to many a farmer, and those farmers in the area use this very elevator to store the bounties of their harvests. 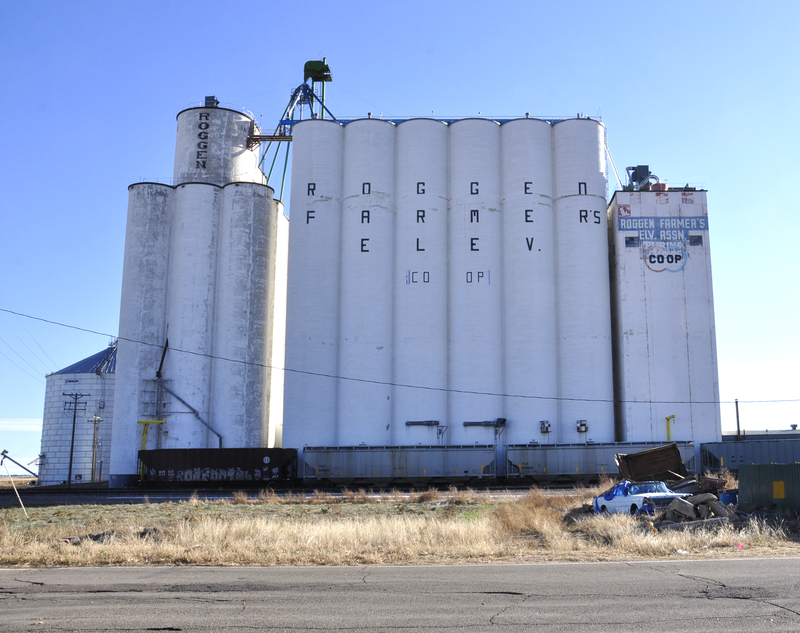 (I have actually driven an empty semi from this very elevator, shortly after it was unloaded during wheat harvest. We’ll save that disastrous tale for another time.) If a person who knows punctuation rules — and knows them well — would read this, that person might not get the impression that this elevator belongs to the several farmers in the Roggen area; rather, he or she would be led to think that this elevator belongs to a farmer who has A LOT of land. Anyone who has a modicum of understanding about farming knows that this elevator holds more than any single farmer could fathom harvesting in a year. Therefore, I think it’s safe to say that the Roggen Elevator is host to yet another apostrophe blunder. Because this elevator houses the crops of many farmers in and around Roggen, we know that farmer on the elevator is plural. Since we already have a plural noun, and simply want to make it possessive, the apostrophe needs to play musical chairs, settling on the other side of the s.
I think the farmers in the area would appreciate passersby knowing that this elevator in Roggen belongs to all of them, and this correction would certainly bring a smile to their faces: Roggen Farmers’ Elev.